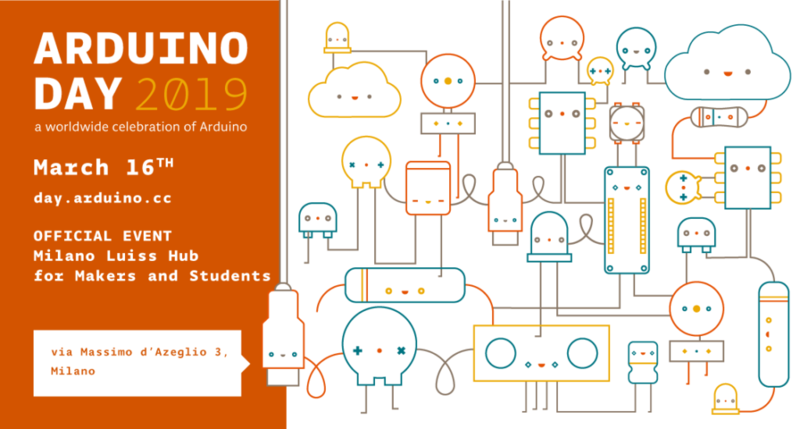 On Arduino Day, we will also support LoRa and the City, a hackathon organized by Codemotion and A2A, that will take place in Milan at Casa dell’Energia from March 16th to 17th. If you want to join the hackathon as an individual or a group, apply here — the winners of the two challenges (urban mobility and monitoring and energy and sustainability) will receive a €3,000 Amazon coupon. Durante Arduino Day, daremo supporto ad un’altra iniziativa a Milano, LoRa and the City, un hackathon che avrà luogo presso la Casa dell’Energia tra il 16 e il 17 Marzo. Se vuoi partecipare come singolo o con il tuo gruppo, clicca qui – in palio per le due sfide dell’hackathon (Urban Mobility and monitoring and Energy and Sustainability) ci saranno due buoni da 3000 € per Amazon.